Iceland: Professor Marilou McPhedran interviews Katrin Oddsdottir, from the Iceland Constitutional Council, about women and the Iceland Constitution. The Legal Intersections Research Centre of the University of Woolongong, AU, is hosted a screening of Constitute! 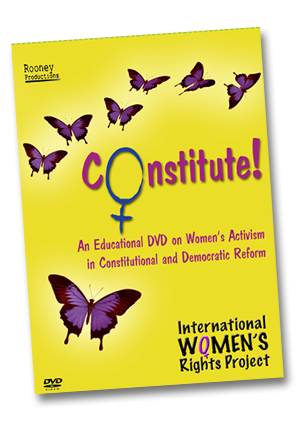 Produced by the International Women’s Rights Project (IWRP) – Constitute! Tells the story of the largest social mobilization of women in Canadian history in the 20th century. Led by the Ad Hoc Committee of Canadian Women and the Constitution, women and other activists across the country fought to gain stronger equality provisions were entrenched in the newly repatriated Constitution’s Charter of Rights and Freedoms (Sections 15 and 28). The film celebrates their constitutional activism and passion for democratic renewal. Constitute! Educates and informs about how important citizen engagement is for democracy in Canada and beyond. Interviews, speeches, songs, debates and images tell the story of what happened on that cold Valentine’s Day in 1981 and what it means to future generations of young Canadians.